U2Baby capture the unique sound of U2 as well as the look, covering every detail down to the exact vintage mic stand Bono is never seen without. The band's level of talent and commitment to being the best U2 tribute is quite literally awe inspiring, making them not only one of the best U2 tributes, but one of the finest most accurate tributes available anywhere! U2Baby exist to help people, some of whom may not be able to see the real U2, discover the power of U2's music live. U2Baby started with two brothers and an absolute passion for the music of U2. U2 was, and is, the soundtrack to their lives literally spanning from 'cradle to grave'. Initially forming as a duo featuring just Bono and the Edge (act2baby) the brothers felt that backing tracks for drums and bass did not do the songs justice and so they began to look for musicians to create a full four piece band. 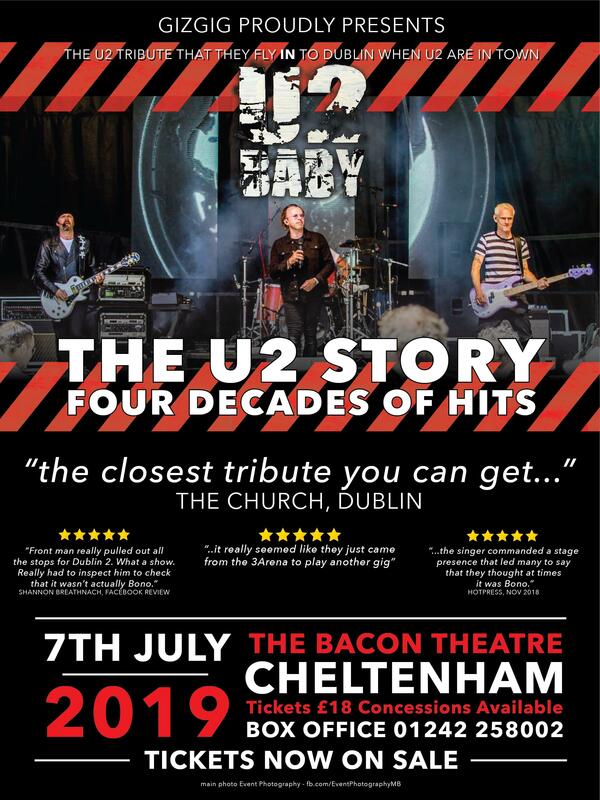 The band renamed themselves as U2Baby (U2B) in 2014 in order to reflect the change from a duo, and to clearly identify themselves as a U2 Tribute Band.